She showed us the room, the golf cart, the map and the timetable for the ferry. We were so well taken care of. We were recommended some restaurans nearby. The room was facing the marsch in the east so we had a spectacular sunrise. We found the place very eco-friendly. They had really been thinking how to save the environment. No plastic. The breakfast was on real china. Came here with our 3 year old son for a long weekend. Clean and well kept, delicious breakfasts! "Lovely Inn on the harbor, right off ferry, near restaurants." Have stayed here several times and over the last month have bought three units. 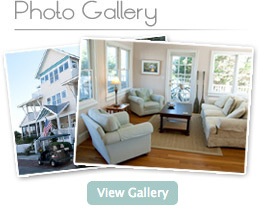 "Can't Wait to Come Back"
Love BHI and love Marsh Harbour Inn! Have been coming to the island for 6 years. "What a wonderful place to stay. Highly recommend it"
We just got back from a stay at the March Harbour Inn and were truly delighted. My husband and I recently stayed in the Yacht Master suite at the Marsh Harbor Inn on Bald Head Island at the beginning of September. Our stay at the Marsh Harbour Inn is always like having a bit of heaven on earth. This B & B on Bald Head Island is one of the best places we have stayed. My husband and I live in Southport but wanted a couple days away without having to travel far. The Marsh Harbour Inn was a wonderful get away for my wife and myself. We've stayed at the Marsh Harbour Inn three time over the last 12 months...love that place! We stayed at Marsh Harbour Inn for two nights in June 2015. Everything from booking to checking out was easy and great. "Getaway to a beach paradise"
"A great place to stay in a beautiful setting"
I have been to Bald Head several times, but. . . The Marsh Harbour is a wonderful place for your first time to BHI or fifteenth! Heaven on Earth! Laid Back, cozy, perfect. Love MHI and BHI! Trip Advisor: "Wonderful inn with great views and kind staff!" Trip Advisor: A little Slice of Heaven! "We have been visiting Bald Head Island for years..."
Trip Advisor - "Just Can't Get Enough"
Trip Advisor "A Fabulous Inn"
Trip Advisor: "A Little Taste of Heaven"
Marsh Harbour Inn is the perfect get away. Some Recent Reviews From Our Guests. . .
Rainbow on Bald Head Island!